An unbeatable location in the heart of London, just five minutes' walk from Waterloo Station and within easy reach of many attractions, such as the London Eye and the Tate Modern. Underground stations and bus stops are also close by. This is the ideal choice for tourists and corporate guests, who will appreciate the 24 hour work area and flexible meeting spaces. 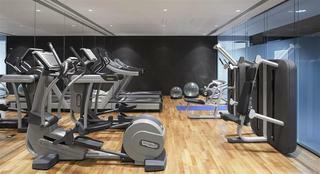 Facilities include a fitness centre, where guests can tone up for the day ahead or work out in the evenings. This hotel boasts 297 spacious Standard, Deluxe and Family rooms, as well as accessible rooms. All rooms are air conditioned and tastefully decorated, and the facilities include a bathroom with a walk-in power shower. The comfortable beds guarantee a great night's sleep. A delicious hot and cold breakfast buffet is included and complimentary tea and coffee is available in the hotel lobby throughout the day. 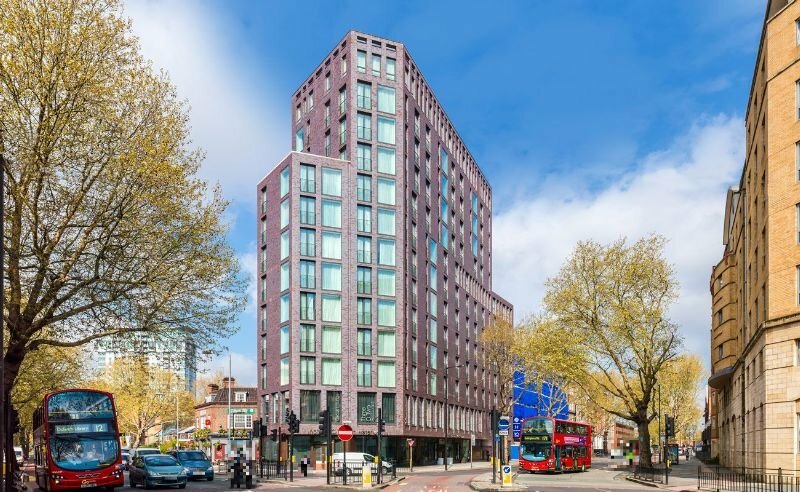 Right on the doorstep of some of the world's most famous sights and attractions, ibis London Blackfriars promises comfort and convenience in abundance. Whether you're in the capital for some culture on the Southbank and a ride on the Eye, or for a business meeting over in the City, we're perfectly located. Nearby you'll enjoy some of London's best markets, independent stores and live music venues, while crowd-pleasers like St Paul's Cathedral and Tate Modern are within easy reach. 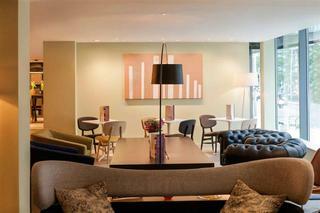 Ideally located in London, this contemporary-style hotel sits close to many of the city's famed attractions. The London Eye, the Tate Modern and St. Paul's Cathedral are within easy access of this charming establishment. Southwark tube station is situated close by, offering ease of access to other areas of the city to be explored. Beautifully-designed guest rooms offer unprecedented comfort and style. 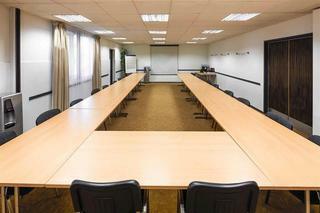 Well-equipped meeting rooms are available for the convenience of discerning business travellers. Guests can enjoy the ultimate relaxation with a refreshing swim in the pool. This property offers everything that guests will need for a comfortable, enjoyable stay. This superb design hotel is very nicely situated on the famous known Waterloo Road, just 5 minutes' walk from Waterloo Tube Station. Guests will be able to reach on foot a number of touristic and cultural attractions, such as the London Eye, the River Thames, Big Ben and the Houses of Parliament. Waterloo Train Station is approximately 600 m away. London Heathrow is at a distance of approximately 29 km, London Luton at some 45 km and London Gatwick and London Stansted are both at around 50 km from the hotel.The H10 London Waterloo has bright, modern rooms, with laminate wood flooring, that are equipped with all the amenities you could need for a comfortable stay.Standard Double room - 19 m² room with elegant décor and large picture windows with views of the street. Deluxe Double room - Spacious 25 m² room with Black & White décor and large picture windows with views of the city. Equipped with 40'' SMART TV.Double room City View - 19 m² room located on the upper floors, with elegant décor and large picture windows that offer panoramic views of the city. **Important note: The Sky Bar will be closed on the 31st December 2019. Lying on the south bank of the Thames, this hotel enjoys an enviable location, just a few minutes from numerous riverside attractions. Tate Modern, Shakespeare Globe Theatre and the London Eye are but a few of the attractions in close proximity to this hotel. Public transport links are readily available with links to Southwark tube station and the Jubilee line located nearby. Amidst a vast array of retail, dining and entertainment venues, guests will find themselves venturing into new spaces and places in the area. Guests are invited to relax and unwind in the comfortable surroundings of the hotel. The guest rooms are modern and comfortable, providing ample space for guests to work or rest in. The restaurant provides a continental breakfast, ensuring that each guest can find a meal suited to their own tastes. A memorable holiday is ensured in this vibrant, energetic hotel. This striking hotel boasts a prestigious setting in London. 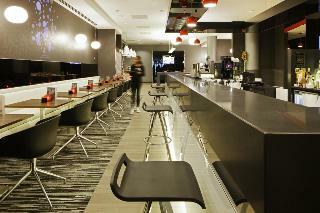 Sitting on Great Suffolk Street, the hotel enjoys close proximity to South Bank, the Tate Modern and Borough Market. Guests will find themselves just a short walking distance away from Bankside, where they can enjoy food festivals, popular bars and delectable restaurants. The National Theatre, the Shard and Tower Bridge can also be found nearby. Close proximity to the city's financial district makes this a great choice for business and leisure travellers alike. The hotel enjoys a stunning design, tempting visitors into a world of style and charm. Beautifully-appointed guest rooms offer a relaxed ambiance, modern amenities and sleek, contemporary style. The hotel's extensive range of facilities and services are sure to surpass all expectations. This hotel is located in London, lying just a short driving distance from the centre of the city. The hotel provides a great setting from which to explore the area. Links to the public transport network are available nearby. This wonderful hotel welcomes guests with warm hospitality and excellent service. The guest rooms are beautifully appointed, featuring refreshing tones and a relaxing ambience. The rooms come complete with modern amenities. Guests are sure to appreacite the wide range of facilities and services that the hotel has to offer. Guests can enjoy delightful buffet-style dining for breakfast, lunch and dinner. Boasting a prime location in London, this charming aparthotel enjoys a convenient situation just a few steps away from Nelson's Column in Trafalgar Square and a short walk from the Houses of Parliament, Big Ben and Westminster Abbey. Other attractions including Buckingham Palace, St James's Park and the National Portrait Gallery, which houses one of the greatest European art collections in the world, are also in the surrounding area. Nearby, St James' Park is a perfect place to take a break from the bustle of the city. Spacious and modern, the air-conditioned apartments feature all the necessary services and amenities for guests to feel right at home, such as Wi-Fi Internet connection and a fully-equipped kitchen. Studios are also available and offer the ideal accommodation option for those travelling alone. Strand Palace is surrounded by the best London has to offer. 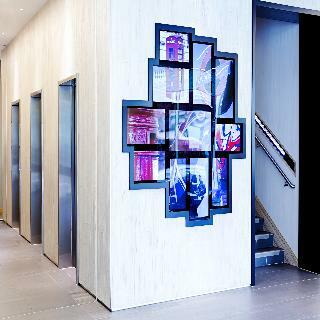 Set in the heart of London, the hotel is mere moments from Covent Garden, Trafalgar Square and the Thames, making it the perfect location for discovering cultural icons and for those travelling on business. The hotel is home to 785 bedrooms and offers a concierge service and gym for guest use. The hotel has recently launched its brand new in house restaurant and bar. Haxells is the perfect place to enjoy great food, cocktails and more in the heart of London. Guests can enjoy British inspired cuisine with modern art deco décor throughout the restaurant, bar, afternoon tearoom and private dining room.With so much to do right on the hotel's doorstep and excellent transport connections to whisk you across the city or further afield, a stay at the Strand Palace puts you at the centre of the action. With that in mind, all rooms are fully furnished to ensure your downtime is as comfortable as possible.For more than 110 years, Strand Palace has looked to put guests first, to provide a superb experience and great value. The hotel is currently undertaking an extensive guestroom refurbishment – with minimal disturbance to guests – and are excited to have launched new art deco inspired rooms, kitted out with air-conditioning, White Company toiletries and complimentary high speed Wi-Fi. 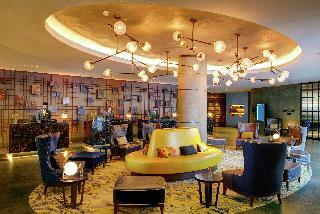 This lavish hotel enjoys an enviable setting right on the Strand in the very heart of London. Temple tube station can be reached in a five-minute walk, and Covent Garden and Charing Cross stations are also nearby, providing quick and incredibly easy access to all parts of this vibrant city. The iconic landmarks of the London Eye, Trafalgar Square, and Piccadilly Circus are just 15 minutes away on foot.The hotel's luxurious guest rooms expertly combine the traditional with the unexpected, providing a contemporary look based on the concept of yin and yang. Guests can enjoy fantastic city views from the stylish rooftop bar and dine an artfully prepared Italian cuisine in the main restaurant or juicy steaks in steakhouse, which transforms into a famous London club after 10 pm. For travellers on a decadent city break or important business trip, this hotel is the perfect choice.